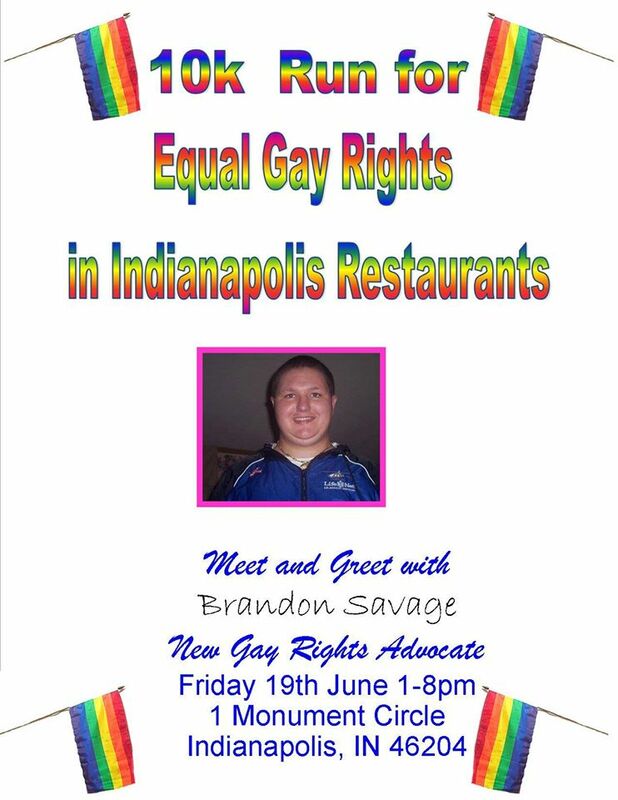 Indianapolis man Brandon Savage was arrested for entering a local gay bar and attempting to rob the place while threatening an Orlando-style shooting. The Indy Channel reports that Savage called the police before he headed to Downtown Olly’s bar on Sunday. He said he was “getting ready to go into a gay bar and shoot everyone. It’s going to be like Orlando,” referring to the mass shooting at Pulse nightclub. Savage told the police he was armed with a Glock, a Derringer and a machete, but the weapons were not found on him. Savage’s weird Facebook profile says he’s an army veteran currently working as a corrections officer, but RTV6’s reporters cast doubt on the claims. Savage’s Facebook profile also describes him as “mom little boy” and includes an old image calling him a gay rights activist, so make of that what you will.